1983 was the year of the great video game crash, and after the chiefs of Atari realized they had produced more copies of Pac-Man than consoles sold, these games, along with other ‘treasures’ were loaded into trucks, shipped out to the desert, and buried in a New Mexico landfill. Last year, these consoles were rescued. Now, thanks to the efforts of the Tularosa Basin Historical Society, these cartridges are for sale again. Want to grab your own copy of E.T., Asteroids, Star Raiders, or Centipede rescued from a landfill in a desert? Here’s a link to the seller on eBay, with the highest auction being E.T., in box, going for $400 with nine days left. The auction comes with a certificate of authenticity from the city of Alamogordo. This is only the first batch of cartridges and boxes rescued from the dump, with the Tularosa Basin Historical Society putting at least another 700 items up for sale if this batch goes well. With the rousing success of this bit of dumpster diving, we must point out another techno-archeological myth/legend: there are several thousand Apple Lisas in a Utah landfill, just waiting for someone to come in and pick through the remnants of an Apple tax writeoff. 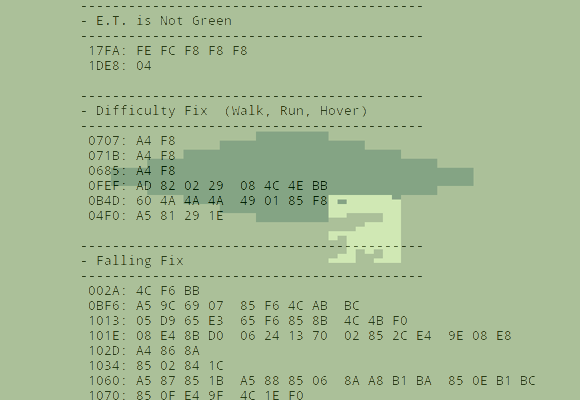 Posted in Misc HacksTagged 2600, archeology, atari, atari 2600, e.t.